I’m new to all this and been spending most of my time reading as much as possible. I do have a question for the experienced crowd. How do you feel about the oven inoculation method? My first kit I purchased recommended this method as almost fool proof. What do you guys think? If that was the advice your supplier gave you, I wouldn't trust the spores either. Or their kit. Sorry, lol, my head almost exploded before I could get everything in that post. Sort of takes away their accountability, know what I mean? Gack. I did it again lol. Not only does this oven method sound completely unreliable, it sounds very uncomfortable and cumbersome. I can't believe any reliable supplier would recommend it when it's so easy and inexpensive to fabricate a simple Still Air Box, or Glove Box. Exactly. Would also up their credibility to suggest that also. Before you waste a bunch of product, do 1 test jar first and see if the syringe is good. Save some money for sure. Money that can be spent on a reliable vendor. 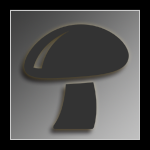 Wait, your spore supplier recommended a way to grow the spores? And that was it? Yikes. First of all a spore supplier should never talk to you about growing and you should never talk about growing to them, second that is a totally discredited method of inoculation for the last 15 years at least. Let me clarify. The spore vendor didn't recommend the oven method. It was the grow kit company. Since I was new to this, I didn't want to go buy everything individually until I knew I was going to really enjoy this hobby. I did some research and the company has a good reputation, so I went for it. Apparently their advice wasn't so great. Now I wonder about the product. You should do your inoculations in a still air box. Just take a big clear tote/rubbermaid and cut 2 arm holes in it and turn it upside down on a table. Dont attach gloves to it. That's really all you need. Put your stuff on the table, put the tote upside down over it, wait 5 minutes for the air to settle and stick your arms through SLOWLY and work SLOWLY. Don't spray the inside with alcohol. Dont use a flame inside the box, flame needles etc outside the box and slowly pass arms back through with tool in hand. Make sure no airflow/fans going in the room when you are working in your Still Air Box. Edited by sandman, 30 January 2019 - 09:06 AM. Ok, I am glad I just misunderstood about the vendors. Your spores should be fine then lol. Thanks everyone for their comments and advise. I thought you would have to "decontaminate" a glove box with something. Perhaps Lysol. I had read somewhere that you could go into a bathroom, take out all the linens and trash. Wipe down all surfaces with an antibacterial wipe. Take a shower and then spray the air with Lysol, wipe your arms up to the elbows with alcohol and then inoculate. I don't know how good this would work. Using a GB or SAB is best, but I am super lazy and hate being restricted. I cut one of those really squishy sponges to the length of the needle, dip it in alcohal, and use it as a cover for the needle. Every time you press the needle into something the sponge should compress then decompress, sterilizing the needle in 1 smooth motion. Please perfect your sterile techniques, though. You wont get by in this hobby without it. Edited by Deleena24, 31 January 2019 - 10:57 AM. What sort of spore supply did you get? (syringe?, print?). What are you inoculating? Grain jars? Grain bags?PF tech jars? Do you you have injection ports of some sort on your lids? You can do this quickly in a fair 'clean' part of the house without SAB with attention sterile technique (alcohol your inj ports, use a new needle, don't touch the needle. You don't have to alcohol or flame the needle between injections. There is no reason with sterilely prepped inj ports, sterile tech and sterile jars that you are exposing your needle to contaminants. Now . . . as you compromise in some areas, this idea may not apply. No inj ports - you have to open your jars. You are really slow at doing the process. Your jars were sterilized a month ago and might have contaminants or you aren't too sure about your jar sterilizer. I would probably be able to guess the company you used for the kit, as my first kit also suggested the "oven method" as one of 3 methods to use during inoculation. While I quickly learned through mycotopia that this method is not trustworthy, the supplies (and their guides) I received worked very well and they had good customer service and shipping times. I had a pretty solid first grow with their kit. That being said, once you tackle your first grow and have had more time to research the craft, you will be able to source your own supplies and apply the knowledge on the forums to your next grow. It's a bit cheaper that way, too! They are recommended on a vendors website(ends in ..sters), and they give this guide out with their kits. Edited by PistolPete13, 31 January 2019 - 07:10 PM. Wow, I can totally picture some neophyte spraying a bunch of Lysol in the oven then turning it on to realize the hard way that it was a Gas range, of course after they put the fire on their eyebrows out. While there is humor in that, it is a possibility and this should be avoided, perioid. I would hate to read about someone burning their face off and burning down their home because bad info is still circulating. I mean, hold balls batman! Kits are crazy anyway. Especially when ingredients are so readily available. I know how bad it was when I blew up my glovebox.